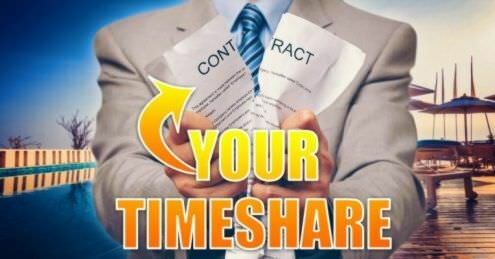 Many of the UK’s timeshare owners are currently tied into contracts with Westgate Resorts – one of the leading timeshare schemes in the USA. Westgate Resorts operate sites across the whole of the US including Orlando, Miami, Las Vegas, Daytona Beach, Branson, Mesa, Gatlinburg, Tunica, Myrtle Beach, Park City, River Ranch and Cocoa Beach. There has been a huge increase in complaints and timeshare release enquires in recent months from customers with Westgate Resorts. If the contract with Westgate Resorts was sold “in perpetuity” or you were pressured into a contract with little knowledge of the implications then you can claim against the resort or a timeshare release on the grounds of miss-selling. If you believe you had a timeshare contract with Westgate Resorts and you wish to be released from your timeshare scheme & points, please contact one of our experts at Mercantile Claims or fill in the form below. Let Us Help You With Your Westgate Timeshare Today! Our team here at Mercantile Claims are always on hand to help you with any issues, concerns or questions you have regarding your timeshare contract. Below we have listed some reviews and comments regarding this resort. If you have a more specific question please contact our team of experts and we will respond with an answer as soon as possible. We were told we were going to stay at Westgate Lakes Resort but we were moved to Westgate Leisure instead. Positives: The room was clean and the grounds neat. The very few employees encountered were polite. Negatives: OLD and dated rooms. Really old. The rooms have not been updated since probably early 90’s. The pool areas are small. Amenities are few. The putt-putt course is small and you have to pay to play. Half of the “resort” is apartments…on the same property. In all, it was like staying at an old, outdated hotel suite, not a resort property. At least it was clean. The staffs don’t clean the room properly. The service is really bad. I called the reception to ask for an extra quilt, and he said that the housekeeper is no longer there and that they won’t bring it the next day. The staff are really rude too. They would hang up on you. This is the worst hotel I have ever stayed at! If you want a good vacation, DON’T STAY AT WESTGATE LEISURE RESORT! The name is really ironic…there’s nothing ‘leisure’ about this resort! Please read this review BEFORE securing your stay... SAVE YOUR MONEY!! We are avid travelers who are familiar with most Westgate Properties. Do NOT book at this locations the area is great, but property is dated, old and not that clean. We had to purchase cleaning products before unpacking, call several times to have the engineer department replace light bulbs. We called, they were supposedly sending someone, they never showed after 3 hours we went to the front desk. They finally came and the engineer was quite frustrated. The headboard, TVs, remotes, dressers all were full of dust. When we received a text the next morning after check in to rate them for our stay so far, we were very honest. Once submitted, the manager on duty the morning of 4-28-18 called the room supposedly expressing her concern, and offered to reimburse us for the cleaning supplies purchased. She apologized and said she wanted to make it right. She asked us for a good time to come by so that we could discuss my feedback. We gave her noon as the time. She said great we will see you then. I said ok. She never showed. Instead someone from housekeeping came around 11:30 and handed us a blue bag with extra towels, tissues, and toilet paper. Yes- I said handed us those items in a large blue trash bag and left. Not sure why that was the case but that was the first knock at the door. The second knock was someone that said they was coming to replace the mattress sponge egg carts. She checked both rooms and said “nevermind, you don’t need” Yes “you don’t need” is what was said, that is not a typo. We never mentioned towels, bed sponge or any of that in our feedback form so I’m not sure why those two people came by the room. The manager never came instead she called a few hours later, around 3 PM, and told my sister she’s sorry she missed the appointment as she had “forgot” but I could call her when I returned if I wanted to. In my experience if you are a manager and commit to resolving a situation forgetting is not an option. 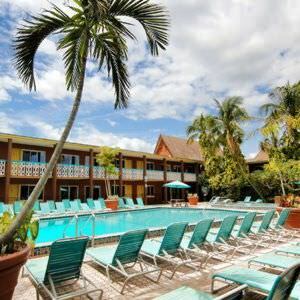 We were only there for 2 nights and thank God that was the case as it was horrible, and certainly not worth over $90 per night, we paid double that – 2 nights was $394.00 Save your money. The pools are small as is all on-site activities. The gym equipment had to be wiped down completely before use and some didn’t work. The volleyball court is a sandbox the size of an average dance floor. If you do not care about a price or property and basically need a place close to Seaworld, go for it. Again, in my opinion this is NO place for families unless you are retired or have toddlers. Even then you have to decide what your standards are – if cleanliness and customer service is not one of your standards, then this is the place for you. Came for vacation, very run down "resort"
This place is rumoured to have been in bankruptcy when Westgate bought it. About half the units here are long-term lease to locals, and about half are the “resort. “. I don’t mind it, but the long term renters do stuff in the adjacent parking lots like fix their cars. Some people night might not feel too great about that. Fundamentally, The units are run down. I think the staff do what they can with what they have to work with. We have a two bedroom unit, and there is no outdoor sitting space attached to the unit. We can’t adequately control our air conditioning – it’s either on, or off. Staff tell us it can’t be fixed. The water smells of sulfur, and that does not do nice things for your hair. It takes a really really long time to get the water hot enough for a shower to run. The tubs are slippery, and there aren’t any grab bars or rubber tub mats or anything. The pools and other amenities are small, but the staff keep them as clean as they can. Wifi quality is not good, you have to frequently sign in after the first time, and you have to pay extra for it! Towels are of good quality, as you would expect in a vacation home. The staff here are very nice, but the resort leaves a great deal to be desired. It is not a good vacation property. Might work OK as a business stopover, but the air conditioning and water problems might be too much for a business traveller. The first room we were given was like an old Howard Johnson. Old blue carpeting, dark, no screen porch and smelled very mildewy. I refused to stay there. The second room was brighter but still very worn. Chips in furniture, armrests all worn out, bedroom door warped and wouldn’t shut. There were chips in the bathtub and the toilet handle was extremely loose. The television was very fuzzy. The air conditioning broke down and leaked all over the floor. Attempts at correction were in vain. The final straw came when we found a large amount of black mould in the second bedroom ceiling. We demanded to be sent to another Westgate resort which they did do but no other type of compensation. I tried on three separate occasions to explain my dissatisfaction to the resort to have the issues corrected, I do not like to complain. On all three occasions, I was met with rude eye-rolling staff and nothing corrected or even an “I’m sorry” given. This was the worst stay I have ever had and highly recommend going elsewhere! You will absolutely be hassled into going to a presentation for ownership. They will try to give you the best deals ever heard of for tickets as a reward for going. It is all a lie and everything will change the moment you walk in for it. I went for the discount, was so frustrated after that I left early and gladly paid full price for a ticket at the park’s gate. Housekeeping came once, I can reuse a towel it’s fine. It was just odd that it was the same day that they sent maintenance to work on the lighting outside the room before 9am and by 10am they knocked on the door because they needed to come in and get up into the attic to do work. (It really wasn’t very busy there, not sure why they would put us in a room that had work scheduled). I asked not to have them come in and was told no that they had to. When I asked why we were put in the room, the guy’s response? “I don’t know, I’ve been off its not like I did it.” I had called on the phone just to make sure, by the time I had gotten off the phone and got dressed to have people in the room, they had decided on a plan B and didn’t need to come in after all. Again, their communication is just awful. The room itself was nice it was the people that were pure evil. We went there on a timeshare promotion….boy was that a mistake. When we first got there and signed in they gave us “two complimentary one day Disney tickets”, which we asked if we could upgrade to 3 day tickets, we got a big run around about how we would lose them and have to pay full price, well we get that dealt with then head to our room. None of the blinds work and it is a non smoking room (which I had requested smoking at time of reservation) so we pack up and move upstairs. Next day we come back from Disney our room has been broken into. Our 12 yr old daughters room has been gone through and some other disgusting things were left behind. By now it is 7:30 am the morning of our 90 minute presentation. We tell them what has happened our salesgirl was really nice…. until we tell her we are not interested. She picks up her books doesn’t speak to us and leaves us at this other motel down the road a mile from our car. So now we are stranded. We finally find a shuttle to get us back to our car which by now it is 11:40 am. We do make a police report to the security guard after returning to our room, but they never did tell us who it was after asking for 2 days. The people there treated us like dirt from the minute we walked into the place and even less when we left. We never saw a maid in the four days there, I ended up washing our towels in the washing machine in our condo. I would not recommend this place to anyone unless you enjoy being treated like a second-class citizen.